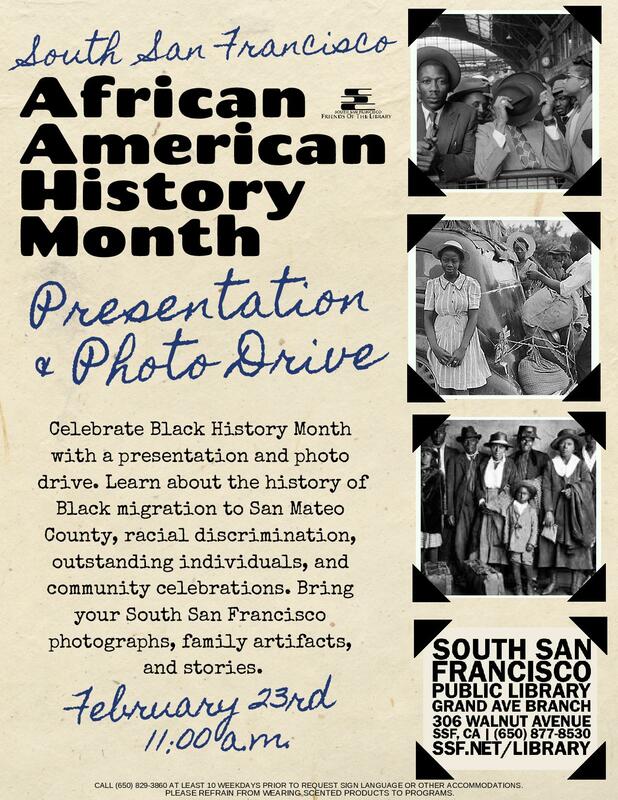 Join us on Saturday February 23rd from 11am-noon for a discussion and photo collection drive documenting the African American presence in South San Francisco. Topics include a history of Black migration to San Mateo County, racial discrimination, outstanding individuals, and community celebrations. Please bring your photographs, family artifacts, and stories. Library staff will scan the photographs, return the originals, and keep a digital copy for our collection.